Background Standard Precautions is the primary strategy and foundation for Successful hospital acquired infection control. The routine implementation of standard precautions greatly reduces the risk of nosocomial infections in the absence of a definitive diagnosis. The aim of this study was to estimate the effect of an educational intervention program on standard isolation precautions on knowledge, attitude of medical students of Zagazig University. Methods: An interventional study was used. Setting: The study was conducted at faculty of Medicine Zagazig University. 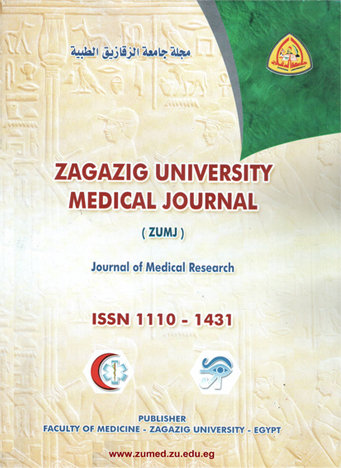 Sample: The study sample consisted of 135 medical students in Zagazig University. Tools: Data was collected through: An interviewing questionnaire to assess sociodemographic characteristics of participants, their knowledge and attitude before and after educational intervention regarding standard isolation precautions. Results: The majority of studied sample has significant improvement in knowledge and attitude towards standard isolation precautions (p<0.05) after implementation of the health education program. The total knowledge and intention to change practice of the participants regarding standard isolation precautions showed statistically significant improvements after the intervention ( 92% and 74.9%) respectively after the intervention compared with (18.5% and 42.3%) respectively before intervention( p<0.001). Conclusion and recommendation: This study concluded that health education about standard isolation precautions improved knowledge and attitude of the studied medical students, so more interventions are needed to increase the knowledge about SIPs and Infection Control among medical students.